Quality & Comfort Hotels will be undergoing extensive renovations during Queens Birthday weekend so less rooms are available than usual, they are now booked out. 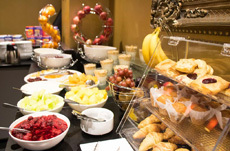 However, we have secured extra rooms less than 10 mins walk up the road at Mercure Wellington Able Tasman which will be held for Congress guests until April 30th or are sold out, please BOOK NOW to avoid missing out. Shuttle service will operate to both Hotels. The Comfort Hotel & Quality Hotel Wellington are located in the heart of the vibrant Cuba Quarter and just a short stroll to inner city bars, restaurants and boutique shops, and a 5 minute shuttle ride from the workshops and parties venue at Te Whaea – National Dance Centre. The Comfort Hotel (Qualmark 3 star) & Quality Hotel (4 PLUS star) share common areas such as reception, breakfast area and bar, so no matter what your budget is you’ll be able to brush shoulders with our international artists at the hotel lobby and catch up with friends at the bar. 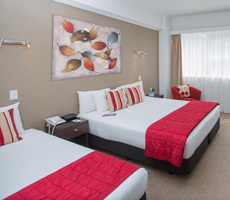 Mercure Able Tasman is the perfect location between Cuba Street, Victoria University and the very heart of Wellington’s business and entertainment district. Some of New Zealand’s best bars, restaurants, cafes and main tourist attractions including Wellington’s Te Papa, Parliament buildings and the Interislander ferry are all easily accessible. 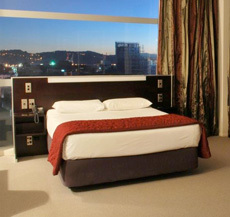 They have recently completed a smart refurbishment of all standard rooms. New cabinetry, beds, desks, chairs, storage units, painting and artwork have transformed these rooms with a contemporary new look. Hotel rooms always BOOK OUT so book now to avoid missing out! Choose between SINGLE room (one Queen bed) or TWIN room (two Queen beds). A dedicated Congress Shuttle service will be running between the Hotels to Te Whaea Dance Centre. A $4 ticket per trip can be purchased from Registration Desk, or you may purchase a $25 wristband for the 3 day weekend. Please note this service is only for those staying at the Quality & Comfort Hotels. Te Whaea – National Dance and Drama Centre is the home to Toi Whakaari: NZ Drama School and the New Zealand School of Dance. This ‘centre of excellence’ is set on Wellington’s nature reserve in Newtown, five minutes drive from the heart of the city, with ample parking and a great view. Te Whaea is purpose built as a centre for teaching performing arts and producing dance and theatre productions. The Congress will be using Te Whaea’s 5 professional dance studios to hold all of the Congress workshops. Friday and Monday Immersion courses are held here which is only a 5 minute easy walk up the road from the Comfort & Quality Hotels. No onsite parking available.